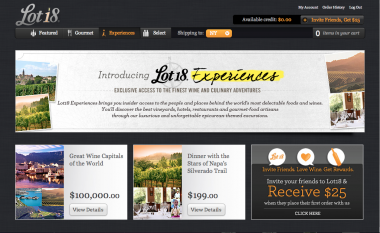 Lot18, a New York-based, invitation-only site that started off selling wine online just a year ago, has raised $30 million in a third round of capital. 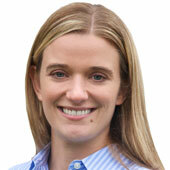 The most recent round was led by Accel Partners. Existing investors New Enterprise Associates and FirstMark Capital also participated. James said the funding was justified because Lot18 is growing so quickly. In the past year, it has expanded to 90 employees, added 600,000 members and sold 500,000 bottles of wine. In addition, the company has added two new product categories, “Gourmet” and “Experience,” which sell food and travel, respectively. 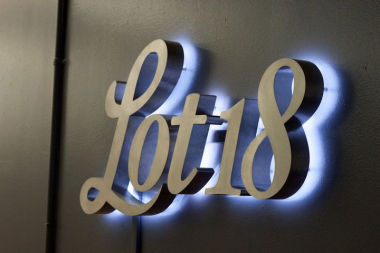 James said it is Lot18’s goal to be the leader in the epicurean space — and to be all about eating and drinking. On a standalone basis, that makes it similar to Gilt Taste, which is a full-priced online gourmet store owned by e-commerce company Gilt Groupe, which dabbles in everything from discount to full-price fashion and daily deals. Also in the space is Wine.com, which has been selling wine online since 1998 and has a selection of hundreds of thousands of bottles. It also operates WineShopper, a members-only daily wine deals site. James said he doesn’t anticipate getting into other categories, such as fashion or home accessories, as many other sites in the category have. He also says international expansion is not on the immediate roadmap, since shipping alcohol faces so many regulations. Lot18 is a marketplace, so it does not own any inventory or warehouses; its cost structure is a little different from some of the others. Instead, the company’s headcount is a considerable expense, as are its marketing costs to get new members — just like Groupon. In addition, it subsidizes shipping, since wine is so heavy and fragile. As the company grows, those costs continue, but there’s also a chance they may fall, as volume discounts on postage start to apply. The company offers between 10 and 20 new products a day, from wines to travel and food. Users sign up to receive a daily email; James said that if people don’t make purchases, or even read the emails, the frequency drops. Its top-tier users have an open rate of more than 50 percent. And unlike other companies, it’s not all about the discounts. The $30 million round follows a $10 million second round in May, and a first round of $3 million. Quidsi founders Marc Lore and Vinit Bharara, who sold their company to Amazon, are also investors.